UN Deputy Secretary-General Amina Mohammed told a Thursday, April 4th press conference that changes to global financial systems would be necessary in order to achieve its Sustainable Development Goals (SDG). 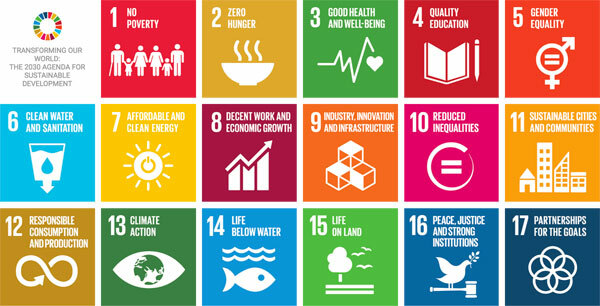 Nonprofits working on a wide range of issues will find the SDG relevant. They were established by the UN in 2015, building upon 2000’s Millennium Development Goals, which worked toward the ending of extreme poverty. While philanthropy does have a role to play, the public sector contributes the most toward the SDG. As NPQ reported last September, over 95 percent of investment towards meeting SDG targets comes from public sources. While there has been some progress made on meeting SDGs, much more remains. The Financing for Sustainable Development UN Report indicates that investments that are necessary to achieve the SDGS are underfunded. Despite some progress on poverty reduction, the picture the report paints is bleak. World economic growth is holding at about 3 percent and unlikely to rise, seven times more dollars’ worth of goods are subject to trade restrictions compared to a year ago, and about 30 least-developed or vulnerable countries are in, or at high risk of, debt distress. The report calls for a recommitment to the Addis Ababa Action Agenda, where member states created a package of measures to finance sustainable development. The Addis Ababa agenda strongly suggests adjusting policies to new realities, by creating financing that supports national development agendas, revisiting labor market and social protection systems, competition policies and strategies, and trade policies that are consistent with their financial needs for development. But the UN report indicates that the multilateral trading system is stressed and multilateral institutions need to be made more fit for purpose. In particular, the report suggests that governments can increase the contribution of trade to inclusive economic growth by increasing the desirability of exports from least developed countries, whose exports are below the target of doubling by 2020. In addition, increasing access to international trade opportunities for micro, small, and medium-sized enterprises will help economic development and highlight the need for infrastructure and technology investment. Many countries are facing debt crises that may require restructure or reduction; the big questions are whether workouts can be tied to increases in social sector spending. There is also a pressing need to address international tax structures that has intensified as a result of digitization, e.g. economic activity driven by access to data without regard to geographic location. Financial sector strategies are instrumental to addressing financing gaps and tackling market failures in an integrated manner. As a first step, governments can aim to build inclusive financial systems, for instance by supporting diversified types of financial institutions, depending on national contexts, and making greater use of financial technologies (fintech). They can also seek to further develop capital markets by first ensuring that the right conditions are in place. Technological innovation creates both opportunities and risks that must be properly dealt with. “Recent developments in automation have raised concerns that rapid advances in artificial intelligence (AI) and other technologies could make the labour of millions in developed and developing countries redundant.” While advances in big data, biotechnology, nanotechnology and learning related technologies, as well as innovations in financial applications and accessibility can enhance the quality of life for all, the potential for labor market disruption cannot be underestimated.